England rugby international Luke Gale has had a hair transplant after being taunted for going bald, he revealed today (fri). The 29-year-old scrum-half admitted being the public eye was “incredibly tough” after undergoing the £6,000 procedure at a private hair clinic in Leeds. 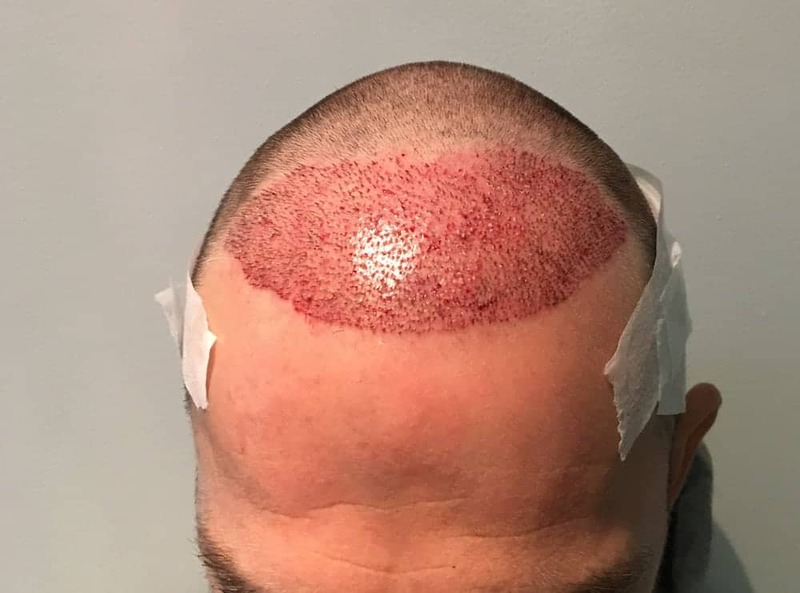 The Rugby League star had 2,400 hair follicles transplanted from the side and back of his scalp on to the front after returning from England’s World Cup defeat to Australia. 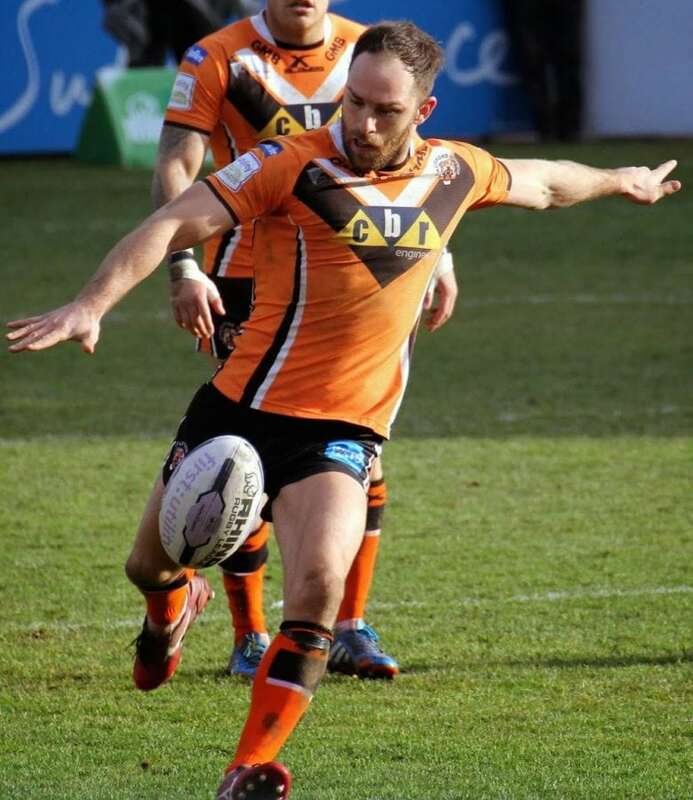 The Castleford Tigers player said: “As a sportsman being in the spotlight can be incredibly tough sometimes and it can play on the mind and have an impact on performance, regardless of how strong you are as an individual. “When you’re lucky enough to be in the public eye for doing what you love, your appearance can make you a target for some. Rugby player Luke Gale of Castleford Tigers after his hair transplant procedure. Gale, who is from Leeds and plays for the West Yorkshire side, decided to have the procedure at the Baruch Hair Transplant Centre in 2016. Follicular Unit Extraction (FUE) transplant at the Baruch Hair Transplant Centre in Leeds as his hair was shaved before the seven-and-half-hour transplant. This comes after Wayne Rooney was publicly ridiculed for wearing a hat after getting a hair transplant. The former England football captain spent a reputed £30,000 on the procedure at Harley Street clinic in London in 2016. Pictures show where Gale’s new hairline will grow back in about three months. He said: “Sean reassured me that I was at the right age and maturity to undergo the procedure and I decided to go for it. 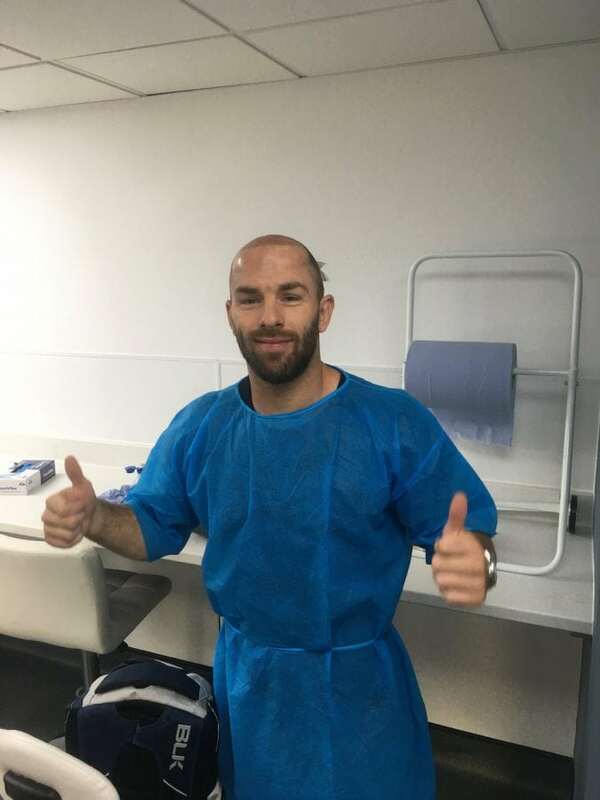 Rugby player Luke Gale of Castleford Tigers after his hair transplant procedure. Sean Baruch, who runs the clinic, said: “Like thousands of men, Luke came to see me because he wanted to do something positive about his hair loss. “Being in the public eye as he is and especially in such a tough sport as rugby league, Luke has found himself at the end of some cruel taunts from fans and players. “This can have a profound effect on confidence so to want to do something positive about it is the most natural thing in the world. He added: “He told me a lot of the players pull each other’s hair but I told him they won’t pull this out. Gale underwent a Follicular Unit Extraction (FUE) transplant on December 12. Rugby player Luke Gale of Castleford Tigers before he lost his hair. He added: “I’ve had a truly fantastic year – a brilliant season with Castleford Tigers and winning the League Leaders Shield for the first time ever. “A personal highlight for me was being voted Man of Steel 2017 and rounding the year off with a great team performance in the rugby league Wold Cup final in Australia in a very hard fought battle and the closest final for years. “Sean reassured me that I was at the right age and maturity to undergo the procedure and I decided to go for it.